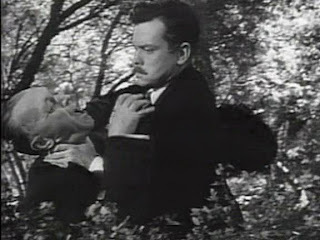 In 1946, Orson Welles' fourth film was set to hit theatres. Ever since his debut Citizen Kane Orson Welles had a massive audience of devout fans. 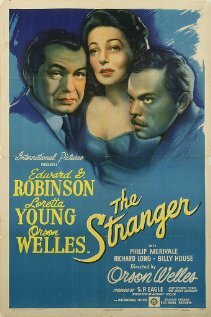 Persoanlly, Orson Welles considered The Stranger to be his largest cinematic failure and that the movie would have worked better should he had switched roles with Edward G. Robinson. Mr. Wilson is a member of the United Natation War Commission. Mr. Wilson is searching for Nazi fugitive - Franz Kindler. However, when there appears to be no way to track Kindler whereabout Mr. Wilson is sent to follow a close associate of Kindler's. When Mr. Wilson arrives in the small Conneticut city he discovers Kindler has taken a wife. Time passes and Mr. Wilson slowly blends into the small city of Connecticut as not to seem suspicious. However as Mr. Wilson draws closer and closer to being able to pin Kindler's crimes on him he needs the help of Kindler's wife, Mary. Mary is torn between the justice and denials as she attempts to select the correct the decision, whether that is helping a law enforcement agency capture the man she loves. The Good: The Stranger creates an excellent film noir atmosphere. It's packed to the top with some great performances from Orson Welles, Edward G. Robinson and Loretta Young. The Stranger is very suspenseful as we watch the characters uncover what we have known all along. As well, there's is some great dialogue (the dialogue was assisted by John Huston who was not credited for assisting with the screenplay. 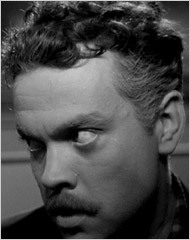 The Bad: Orson Welles' career has contained some very fast, suspenseful and intense films such as The Lady From Shanghai and Touch of Evil. The Stranger however, is very slow and the ending is abrupt and anti-climactic. The Ugly: Edward G. Robinson, despite being a great actor was never a good-looking man.